Researchers have reported that when healthy cells were placed in a sample dish with the human immunodeficiency virus (HIV), along with a dose of cannabinoids, the cells, which normally would rather quickly become infected, simply denied entry to the virus, and responded as if it were not a threat at all. The cannabinoids themselves don’t act anti-virally. They are not responsible for killing the virus, the tissue sample takes that claim. The cannabinoids stimulate a part of the cells that bears an endogenous resemblance to the chemical structure of the cannabinioids themselves. Pairing between naturally occurring substances and receptors in the human brain works the same way as the formation of anti-bodies does; contact evokes adaptation in the receptors, causing them to bear an imprint of the experience. It is unknown if these receptors exist in cells because of the inclusion of the cannabis plant in the diets and pharmacopoeia of earlier human ancestors. In any case, receptors that are designed to respond to cannabinoids are found in the cell structure of every human. When the receptors were stimulated in the tissue culture, in rate of infection by the HIV virus was greatly impeded. The stimulation of the receptors wasn’t just detrimental to HIV, it increased the cells abilities to defend itself against any number of viruses and bacteria. This has a great amount of potential for individuals experiencing the more advanced stages of HIV infection. The use of cannabinoids might be able to provide these patients with much needed assistance with defending themselves against viral attack, without draining them of all other reserves. Surprisingly, at the beginning of the experimentation, the researchers had expected the application of cannabis’ THC to increase the speed at which the HIV took hold, and so it came as a general shock when the cannabinoids not only didn’t foster the virus’ strength, but also attenuated the symptoms that are generally associated with the infection. While ethics laws prevent these tests from being conducted in humans, a nearly identical virus, which is thought to be the original source of the human immunodeficiency virus, exists in other species of great ape, called the simian immunodeficiency virus, or SIV. 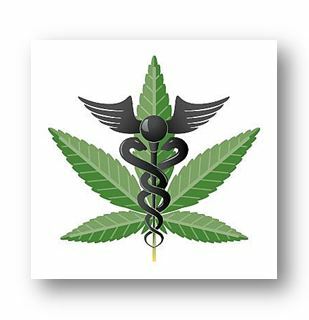 Tests indicate that SIV is inhibited by cannabinoids, and the progression and mortality rates are greatly reduced. Brief studies on humans have been limited to verification that inhalation of cannabis smoke, on of the treatments that HIV patients may rely on for pain relief, had no noticeable detrimental effects with regards to the potency of HIV. This entry was posted in Uncategorized and tagged Cannabinoid, Cannabis, Health, hiv, human immunodeficiency virus, immunodeficiency virus hiv, medicine, Receptor (biochemistry), research, science, simian immunodeficiency virus, Virus. Bookmark the permalink.